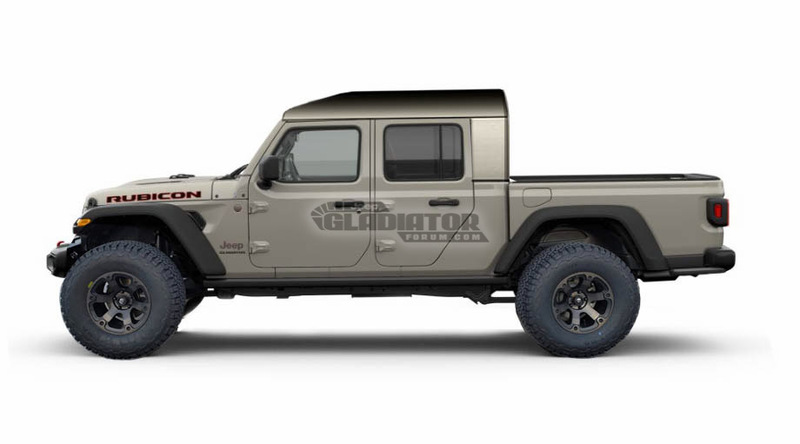 Orders are now open for the 2020 Jeep Gladiator pickup and buyers are, no doubt, planning their first set of modifications for the most hotly anticipated truck of this millennium. 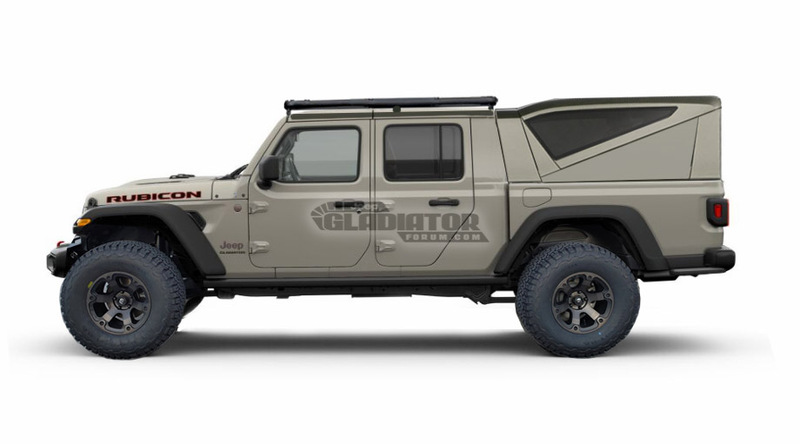 With several different trim options ranging from just north of $35k all the way up to $60k, it's expected to have all the plug-and-play functionality of its Wrangler brethren while also being as capable as you want or need it to be. Even though a good chunk of these adventure-mobiles might will never see a wheel turned off the pavement, others are destined for a life of expedition and off-road glory. 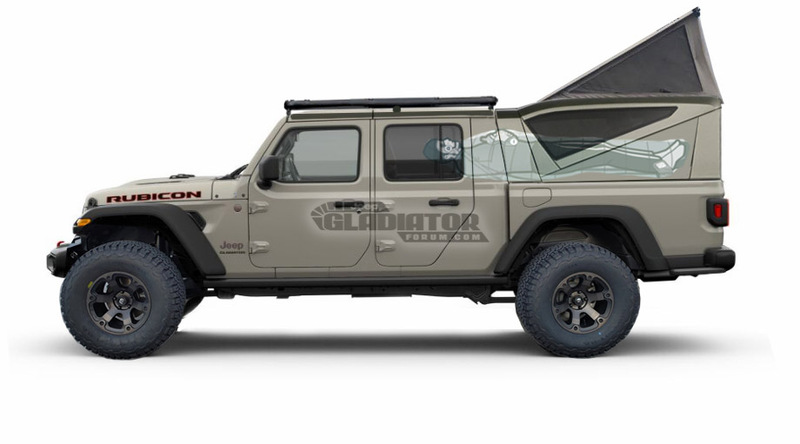 These renders posted to JeepGladiatorForum.com show how the company's newest model will look when fitted with an array of excursion-rated add-ons like element-proof tents and trick ladder racks. Oh, and there's an imaginary Wagoneer thrown in there for good measure with faux wood paneling to complete the retro aesthetic. 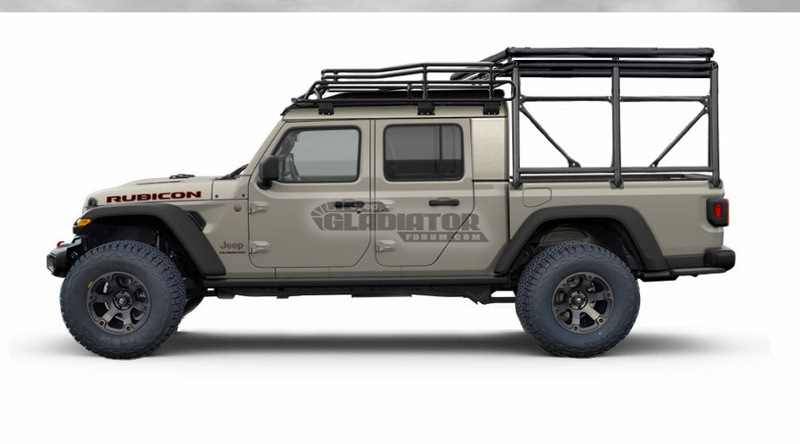 Many of these parts are surely on their way as we know the aftermarket is foaming at the mouth to get its hands on real-life Gladiators and transform them completely. 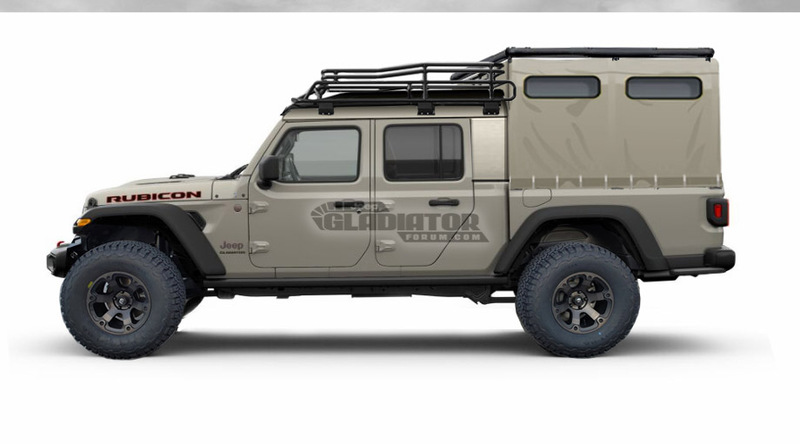 This year's SEMA show will unquestionably be a safari full of Jeeps, even more so than in years prior thanks to the introduction of the "JT" platform truck. 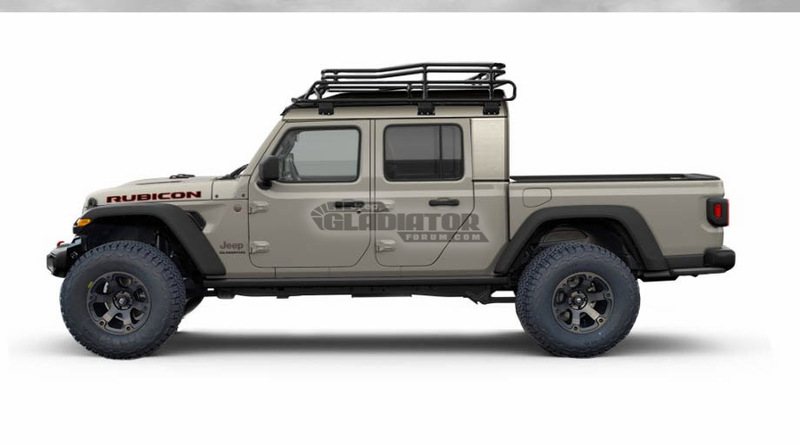 Perhaps the most radical of the lot is the fastback-styled Gladiator that gives it a massively different look when compared to stock. Other than protecting whatever cargo the pickup is carrying in its bed, we're not sure of the topper's purpose, but at least it looks neat, right? Moving on, others such as the Land Rover-esque shell with the full-length rack (top of page) look perfectly at home, as does the unique pop-up tent that's ideal for overnighting in the outdoors. Many comparisons have found the Gladiator to be the most capable in its class when taken off the asphalt, and taking full advantage of this while setting up camp under the stars is a win-win. To see these out in the real world, you'll only have to wait a month or two after the Gladiator hits showroom floors. Rest assured knowing that your local trails, and shopping centers, will have plenty kitted to the max on full display ASAP.